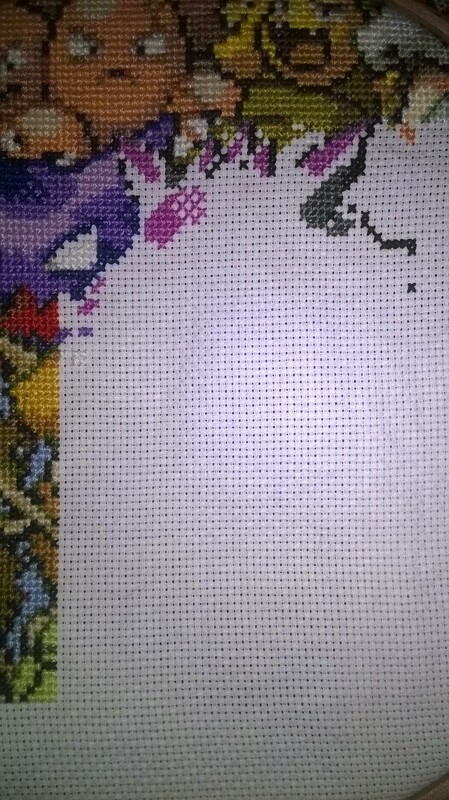 The lighting is terrible as always, I only get time to stitch after dark these days! Roll on Summer and the shorter nights – and with that in mind, the new piece I’ve started is a Summer Sampler from the World of Cross Stitching magazine. I’ve got a beautiful piece of hand dyed evenweave from a Polstitches grab bag – why does Polstitches fabric always smell so amazing? – that looks like a summer sky, bright blue with just a hint of fluffy white clouds. 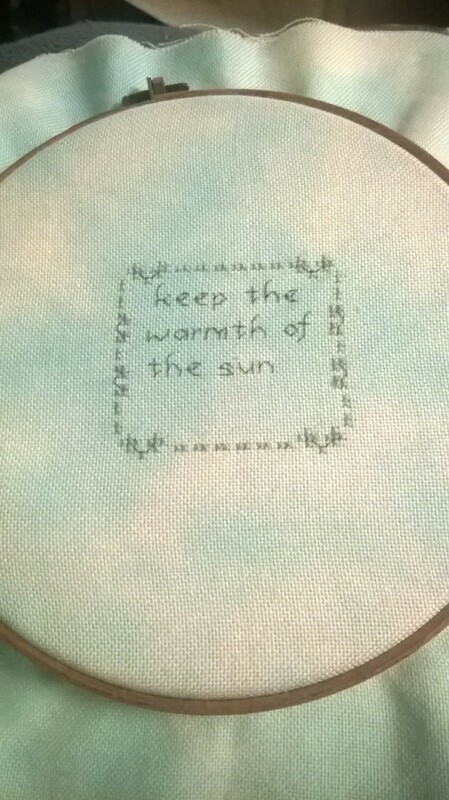 I’ve only stitched a couple of hours on this so far, but it’s cheering me right up! Hurry up Spring, I believe in you! I remember a time when I could still feel my fingers and toes without thermals being required! I’m impressed by your Pokemon progress; I thought of doing that for my nephew but decided he’d probably be done with Pokemon by the time I finished. I also love the fabric on the second one; I hadn’t heard of Polstitches before.